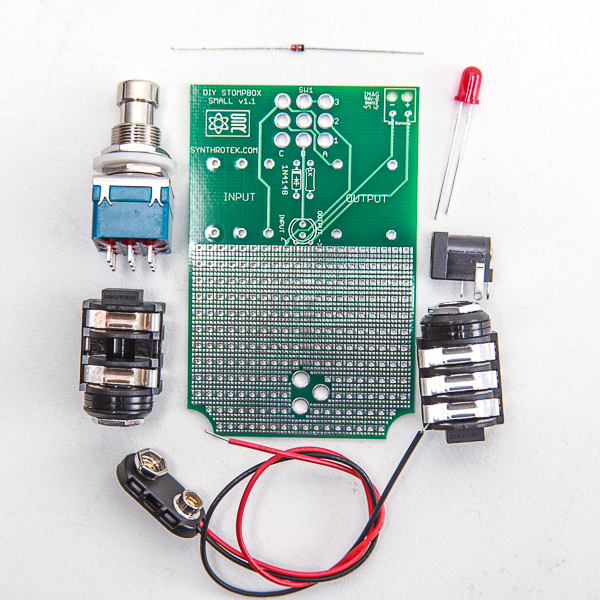 DIY Stompbox has all the base components ready for your next great pedal project. The DIY Stompbox is setup with true bypass, reverse polarity protection, and an active indicator LED. 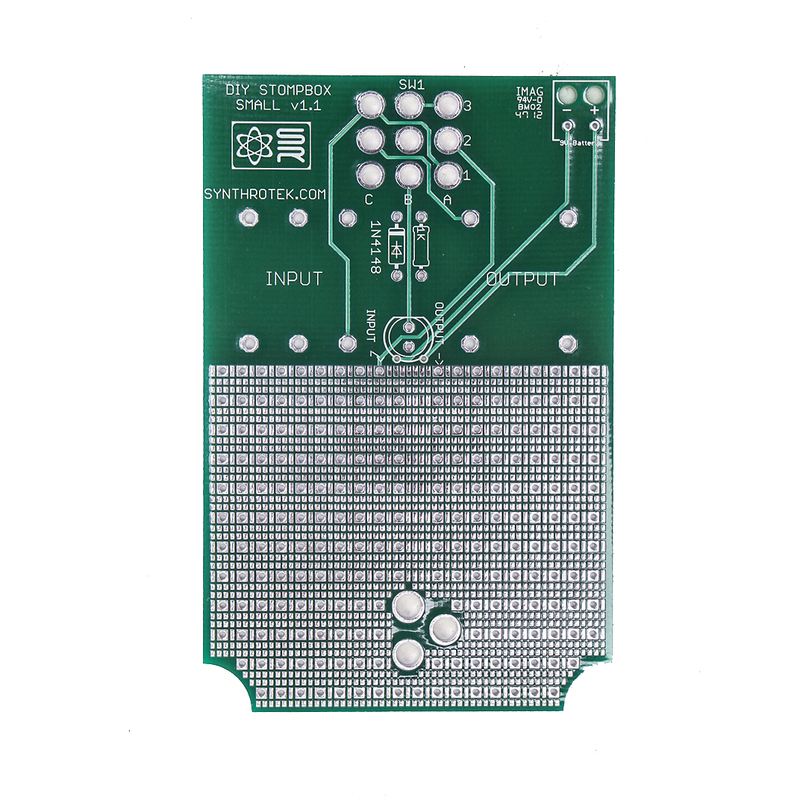 The pedal will not draw power when an input is not present and when connected to a DC source the battery is disconnected to save your valuable batteries. The DIY Stompbox is designed to fit the Aluminum 1590B enclosures. 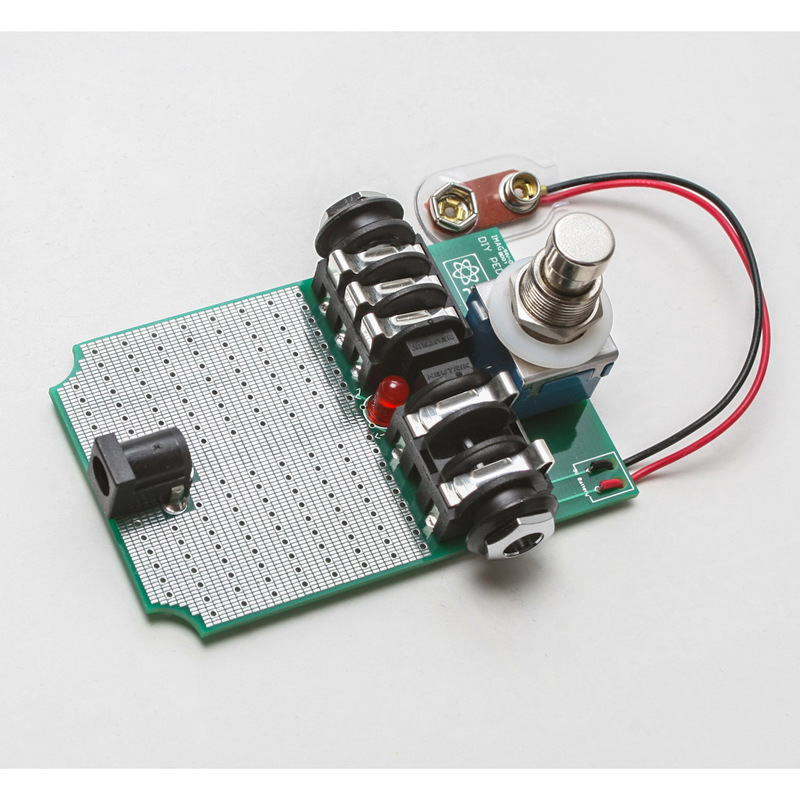 The DIY Stompbox is unassembled and not a functional unit without your own circuit. It is a foundation to put your crazy, wacky, whimsical and unique sounding circuit on and give a polished appearance to your project. Some experience with electronics is necessary. unfortunately, due to licencing and copyright issues, we can’t release that.